Euro continues moving upwards and is not going to make a reverse, which means that the bulls need to find new targets. 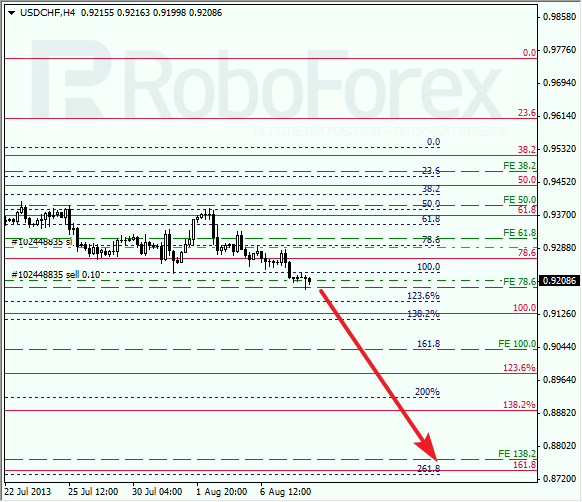 In the area of 1.3670, we can see three fibo-levels, that’s why this area may be the next target for the buyers. However, the current ascending movement doesn’t look solid, so I’m planning to move the stop following the price. 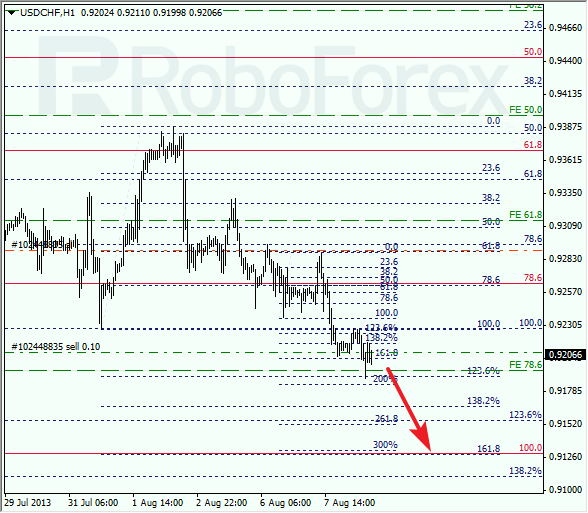 At the H1 chart we can see, that the price is moving near its local maximums. 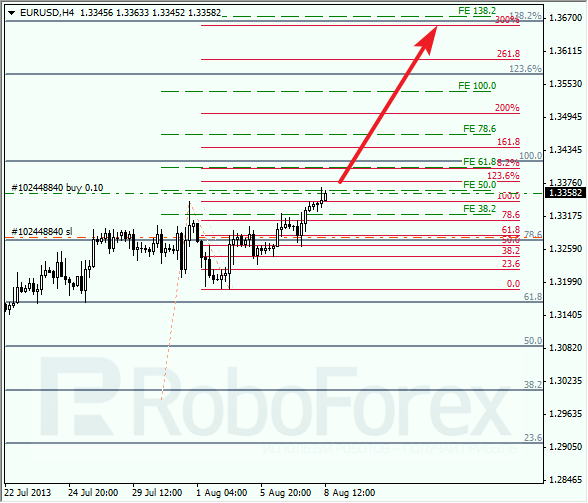 The closest target is the area between the levels of 1.3400-1.3420, where there are five fibo-levels. Later this area may become a starting point of a new correction. Franc is also not going to make a reverse yet. During a correction, I opened a sell order. The targets are at the level of 0.8750. However, different surprises may occur, that’s why I’m planning to trail the stop. At the H1 chart, the pair is being corrected; the intermediate target is at the level of 0.9130, which may be reached in the nearest future. Later this level may become a starting point of a new local correction, after which I’m planning to open several sell orders.